Here's our list of the very best weapons in Monster Hunter World. There are fourteen different types of Monster Hunter World weapons in total throughout the mammoth game, and you might have some difficulty in the early hours working out which weapons work best against which type of monster. In this Monster Hunter World best weapons guide, we'll be walking you through which are, in our opinion, the very best types of weapons in MHW, for use no matter what situation you find yourself in. 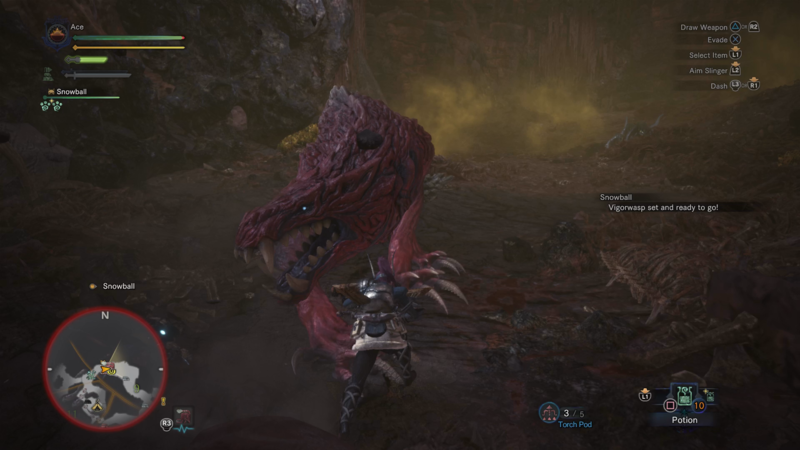 If you instead need anything else on the massive game of Monster Hunter World, including how to quickly track down any monster in the game using Scout Flies, as well as how to capture a monster using the shock trap and tranq bomb technique, head over to our Monster Hunter World guides walkthrough hub. If you need a recap on the fourteen different types of weapons in Monster Hunter World, as well as guides on how to effectively put each one to use, head over to our Monster Hunter World weapons guide. Otherwise, we’ll be walking you through the few best weapons in MHW just below. To start with, we’d recommend trying out both the Dual Blades and the Insect Glaive. The former weapons are incredibly simple to use, simply requiring you to get in close and hit home on a monster multiple times in succession. The Dual Blades are very quick and fairly simple to use, but they don’t sacrifice pure attack power in the slightest, able to go up against some of the stronger weapons in Monster Hunter World like the Hammer or the Charge Blade. As for the Insect Glaive, it’s a whole other matter of getting to grips with the weapon. The Insect Glaive is by far the most acrobatic weapon in Monster Hunter World, allowing you to strike monsters from a fairly decent range with jabbing attacks, then only to leap over them, propelling yourself into the air so you can strike down on the monster, in an attempt to mount it and deal out some serious damage. The main reason that these two types of weapons are the best in Monster Hunter World are that they don’t struggle against any type of monster in the game. 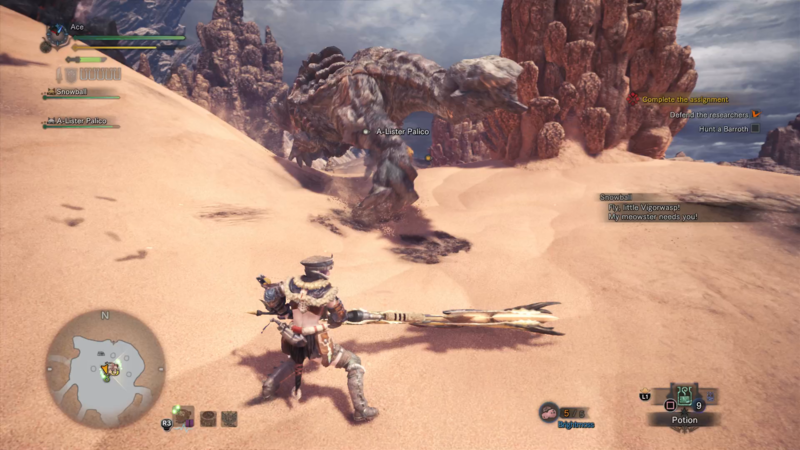 The Dual Blades actually have a decent vertical reach when you’re up close, so if you’re up against a monster that has the ability to fly like the Legiana, you’re still able to reach the claws and tail of the monster while it hovers just above the ground. Both weapons are fairly quick, meaning you can go up against rapid monsters like the Odogaron, without having to worry about being caught mid-combo by any of its attacks. But it’s not just the base monsters in Monster Hunter World that the Dual Blades and Insect Glaive are great for. Because neither weapon sacrifices attack power for speed, you can quite comfortably go up against Elder Dragon enemies like the Nergigante, or the supremely powerful Kushala Daora, both of which can rapidly move around the battlefield. There isn’t one type of monster in the game that you’ll struggle against if you’re wielding either type of weapon, and that’s what makes the Dual Blades and the Insect Glaive two of the best weapon types in Monster Hunter World. We might have given you the best two weapon types no matter the situation in Monster Hunter World, but if you’re in need of a plan to kill a specific monster, check out our complete list on every monster just below. In these guides, we’ll not only give you a plan of attack to take down any beast, but also the best Monster Hunter World weapons outside of the Dual Blades and Insect Glaive that work well against the monster in question. Now that we’re done with this best Monster Hunter World weapons guide, why not continue ahead to our guide on the best armor sets in the game, as well as our best weapon and armor builds guide.